This guide is intended to introduce you to Open Educational Resources (OERs). The guide includes OER used by CSI faculty and recommendations for discipline-specific resources. 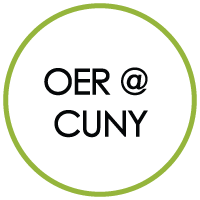 If you are a faculty member interested in using OER materials for your course, please contact Christina Boyle, OER Library Liaison. If you are a student who has taken courses using OER and would like to share your experiences, please take this survey or email us your thoughts. This guide was designed by Betsy Yoon. CSI has implemented OER for selected sections in the English, Biology, Economics, Library, and Media Culture departments. 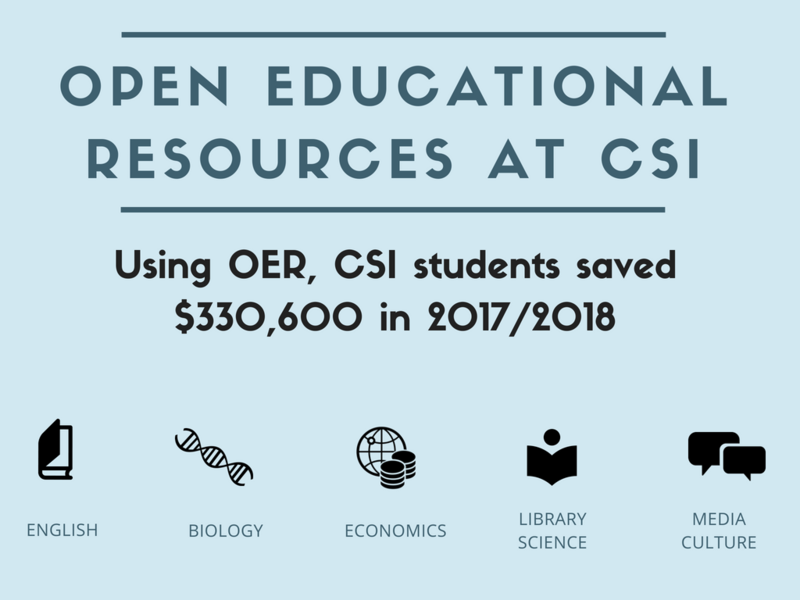 For the 2017-18 academic year, students saved $330,600 from using OER in place of traditional textbooks. View the OER textbooks used in these courses here. Learn more about OER by following the links below.